Top Gear has been off the air for a few months now. It’s sad. But there is a chance that Clarkson, Hammond, and May could have a show on Netflix. The title? House of Cars. Get it? Of course, it’s a play on the Netflix hit House of Cards. 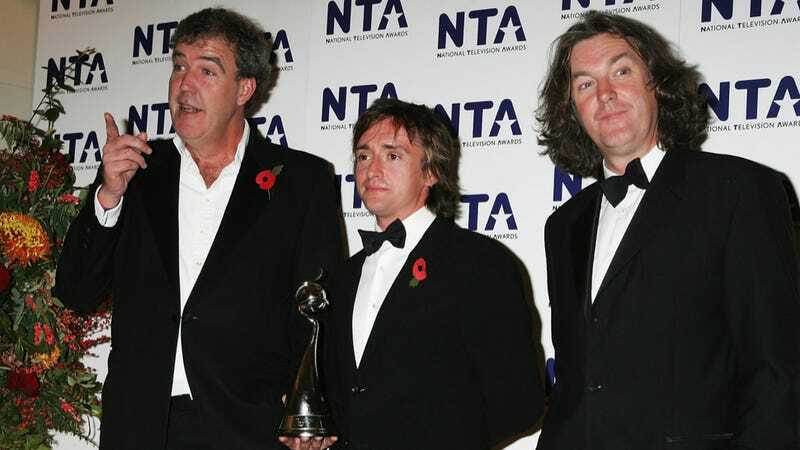 Clarkson, Hammond, May, and former show chief Andy Wilman have reportedly been in discussions with Netflix for a little while. The original show will reportedly soldier on with a new cast.